Once the moving is done and all the dust has settled you are going to have some to relax. You’ve probably been through a lot in these past couples of weeks and you should definitely unwind for a bit. Even if you found affordable movers San Antonio, moving was tiring and expensive. But, once you are done relaxing you are going to unpack. And more often than not, you are going to find out that you have a bunch of leftover packing materials. What to do with them? Should you keep them? Should you throw them away? Is recycling them the best way to go? Can you save them for the next relocation? Easy there. Relax. We are going to go through everything you need to know about handling leftover packing materials. Once you are done with moving you will probably have a lot of leftover packing materials. One of the ways you can deal with leftover packing materials is to get rid of them. While this isn’t the most cost-efficient or eco-friendly way to go, we understand. Sometimes it is the only way to go. Moving can a demanding process and not all of your packing materials will remain intact. Furthermore, you might even have packing materials in good condition, but you either don’t have the room or don’t want to store them. Either way, you need to know how to get rid of your leftover packing materials properly as chucking them into a garbage container is the worst thing you can do. On the other hand, if you decide to use packing services Texas, you won’t need to worry about dealing with leftover packing materials. The first thing you should consider is donations. 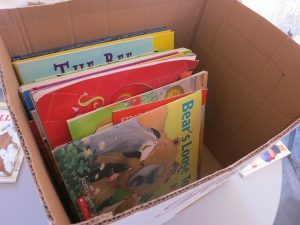 Many organizations can benefit greatly by getting some free packing materials. You can start by looking online for local charitable organizations. Then you can either visit them or contact them online and ask about how to donate. Some donations can yield you tax exemptions, but you need to follow a specific process to get them. You will need to get a receipt for your donations so that you can legally claim the tax exemptions later on. If that doesn’t work, oh well. Be a good Samaritan and help out your local charities. You might even end up making some new friends while doing so. Some local movers San Antonio will offer to buy back your leftover packing materials. This is usually the easiest, but not the most lucrative way to go. You need to figure out how much you can get by selling your items either to local shops or online. Your best bet will probably be to post on sites like eBay, but do not expect much even there. If you get half of what you would pay for new packing materials, consider yourself lucky. Finally, we come to the eco-friendly alternative to chucking into garbage bins. 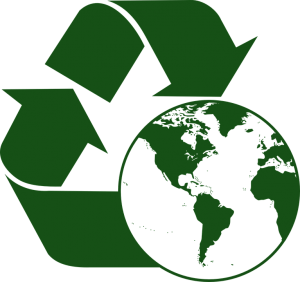 When it comes to recycling your packing materials you need to be familiar with the recycling procedure. First, you need to sort your items by the materials they are made of. So, you’ve got your cardboard boxes, maybe even some plastic bins, wrapping materials, padding materials and the rest. All of that needs to be separated so that you can put the packing materials into designated recycling bins. It’s much better to recycle packing materials then to throw them away. If none of this floats your boat and you would like to save your packing materials, great. There are many ways in which you can still make use out of your packing materials. Not only will you be able to reuse them for another relocation, but you can even use them in creative ways that have nothing to do with relocation. In order to help you out and explain why saving packing materials is a viable option, we are going to list some of the many uses for them. How sure can you be that you are not going to relocate soon? Most people think that once they move into their new apartment that they are set. Sure, they might consider that they will have to move out once they have to take care of their family, but that is years away. Well, they are wrong, and so are you if you think that you aren’t going to relocate soon. Unexpected things do happen in life, and you should do what you can to be prepared for them. After you are done moving to San Antonio, you should save your packing materials. If, after spending a couple of months in your new apartment you decide to move, you will have everything that you need. That will make relocation much easier. If you take care of your boxes you can reuse them multiple times. Can you use packing materials in different ways? Sure! Just stop thinking about them as packing materials and start thinking about what they could be. 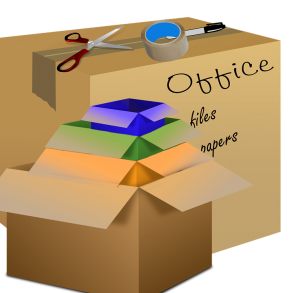 Moving boxes can be great little storage compartments for your documents or for packing Christmas decorations. Wrapping materials can be used for some creative decor. Plastic bins can be used and reused as containers for so long that it is truly a shame to get rid of them. There is hardly a household in America which couldn’t use a plastic bin or two. Let your imagination run loose and you will soon find new and better ways to creatively use packing materials. Maybe relocation is not in your foreseeable future, and you don’t have enough room in your apartment for leftover packing materials. Does that mean that you should throw them away? Heck no! What you should do is to rent a storage unit. While living in your new place you will probably end up using a storage unit at some point. By doing so right away you will get familiar with the quality of the storage company and their storage units. Plus, if something happens and you decide to use your packing materials in a different manner, you can simply go to your storage unit and you are good to go.